As a homeowner, you have one very difficult decision ahead. It is a decision that has plagued the minds of homeowners for decades. It is a decision that can leave you utterly dazed and confused. So what is this difficult decision? Do you go with a Vinyl Fence or Wood Fence? Unfortunately, there is no right answer; both fencing options have their pros and their cons. If you are still having trouble deciding between vinyl and wood, do not hesitate to contact Freedom Fence & Home. 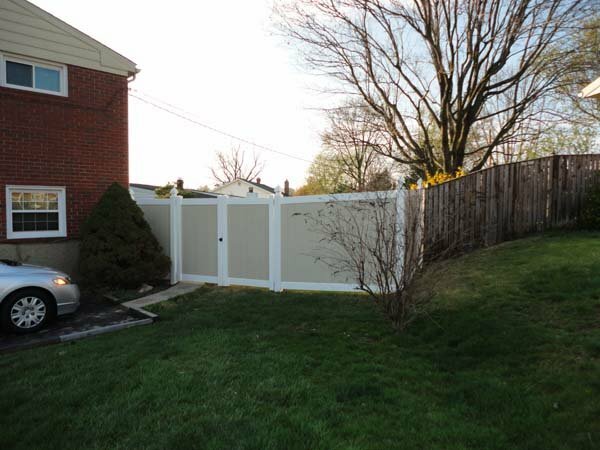 With 40 years of experience, Freedom Fence and Home has provided the highest quality fences throughout Baltimore, Maryland and Harford County. Our fence experts are available to help homeowners, like yourself, select the right design and materials for any fence project. This entry was posted on Tuesday, April 2nd, 2013	at 9:10 pm	. Both comments and pings are currently closed.